Parenthood Photos, News, and Videos | Just Jared Jr.
Mae Whitman poses on the carpet while attending the UNOde50 Jewelry Line Dinner Party held during the 2015 Sundance Film Festival on Monday (January 26) in Park City, Utah. 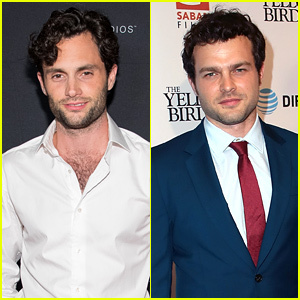 The 26-year-old actress joined Malin Akerman and Rhea Perlman to help celebrate their movie I’ll See You in My Dreams. Mae‘s show Parenthood is wrapping up this week and she chatted with BuzzFeed‘s Jarett Wieselman about the upcoming series finale. 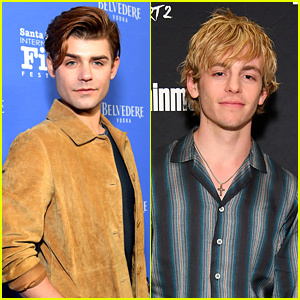 Parenthood's Miles Heizer & Sarah Ramos Buddy Up for NBC's Golden Globes Bash! Miles Heizer stops to pose with his Parenthood co-star Sarah Ramos while attending NBCUniversal’s 2015 Golden Globes After Party at The Beverly Hilton Hotel on Sunday night (January 11) in Beverly Hills, Calif. 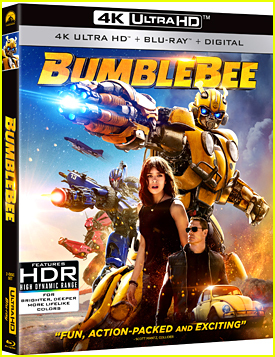 The on-screen cousins were joined by fellow Braverman Xolo Mariduena, as well as About a Boy star Benjamin Stockham. “Mommmmm @Brittanysnow won’t let me listen in on her phone conversations!! !” Sarah tweeted during the bash. LOL! 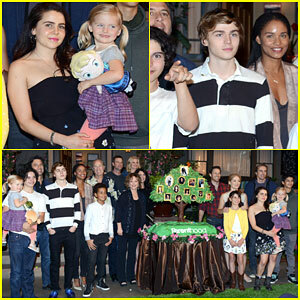 The whole Parenthood cast is gearing up for the series finale, which airs on Thursday, January 29. It was just confirmed that Sarah WILL be back for the epsiode! FYI: Xolo is wearing a Calvin Klein outfit with Top Man shoes. Mae Whitman celebrates the 100th episode of Parenthood on Friday evening (November 7) in Universal City, Calif. 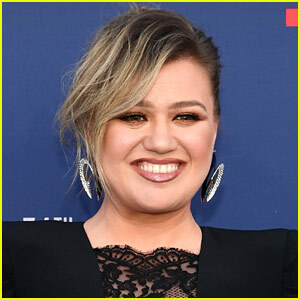 The 26-year-old actress was joined by her co-stars Miles Heizer, Joy Bryant, Craig T. Nelson, Peter Krause, Monica Potter, Erika Christensen, Lauren Graham, Tyree Brown, Sam Jaeger, Dax Shepard, Mae Whitman, Bonnie Bedelia, Ray Romano along with creator Ron Howard and executive producer Brian Grazer. Recently, Dax joined Instagram and his first video was of Mae dancing to “Blank Space” by Taylor Swift. Watch the full hilarious clip below! Mae Whitman is making us even more exciting for Parenthood‘s big season season six premiere tonight! On watching Amber grow: “Something I loved about this character since the beginning was that you get to follow her through this strange of period of adolescence into adulthood. It’s a really difficult transition and I feel like I struggled with it in a big way and I feel like it’s not something you get to see on TV….Like in life, it is two steps forward and one step back with her.”"
Be sure to tune into Parenthood TONIGHT, September 25 @ 10/9c on NBC! 'Parenthood' Season Premiere Photos: Did Drew Win Natalie Back? It looks like Drew (Miles Heizer) and Natalie (Lyndon Smith) are still going strong in this first look at the upcoming season six premiere of Parenthood! Creator Jason Katims recently opened up about what we can expect in this final season. Parenthood returns for its final season on Thursday, September 25 @ 10/9c on NBC! 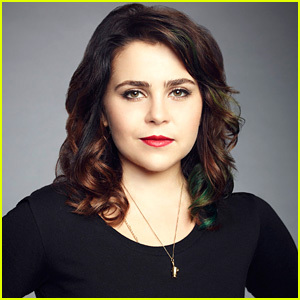 First 'Parenthood' Promo Reveals MAJOR Mae Whitman Spoiler - Watch Now! SPOILER ALERT! DO NOT CONTINUE IF YOU DON’T WANT TO KNOW WHAT HAPPENS!!! It’s official, Amber (Mae Whitman) is pregnant with (presumably) Ryan’s (Matt Lauria) baby in the upcoming final season of Parenthood! The exciting – and oh so shocking – news was revealed in a first look promo that aired during the 2014 Emmy Awards. Amber can be seen looking at a sonogram. Check it out below! Parenthood premieres on Thursday, September 25 @ 10/9c on NBC! WHAT DO YOU THINK of Amber & Ryan being pregnant?